Gashouder Westergasfabriek The Netherlands - CLS LEDs light up your world! The Westergasfabriek is a former gas factory located in Amsterdam’s West district. 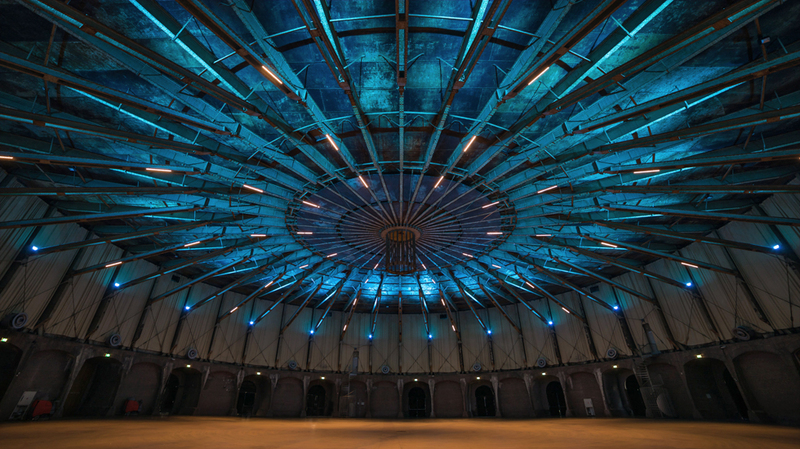 At the beginning of the 21st century the site underwent a complete redevelopment and the new Westergasfabriek has since been in use as a venue for cultural and recreational activities. The area is a beautiful green oasis with various striking industrial buildings. 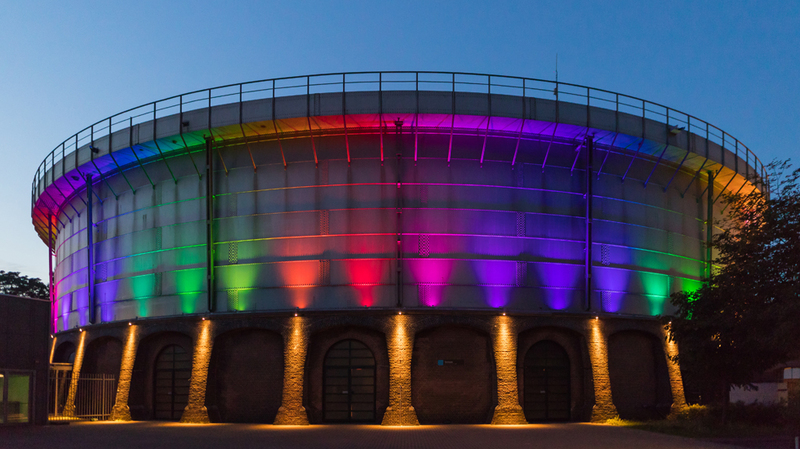 CLS partner Fairlight BV has recently installed new lighting in one of the buildings, which is named after its former function: the Gashouder (Gasholder). The building is now a frequent venue for exhibitions, large-scale presentations, live shows and dance events. On the outside of the building the RGBA version of CLS REVO Direct DMX has been installed. 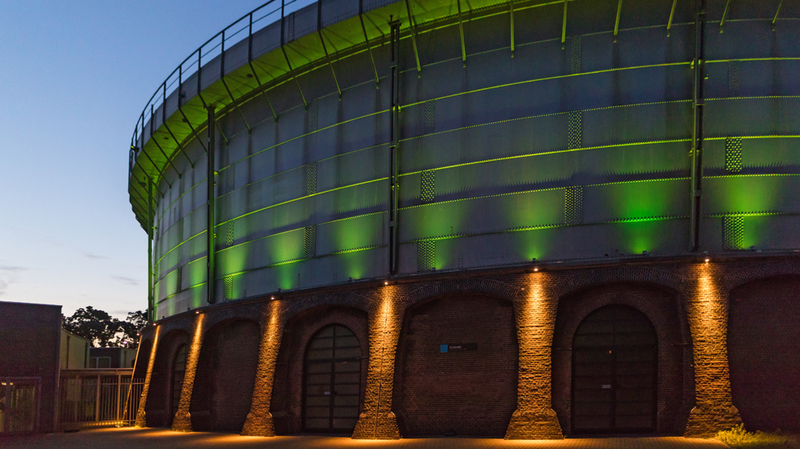 The REVO Colour Flow RGBA serves as an uplighter to illuminate the building with splendid colours. 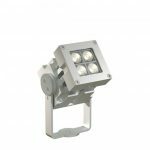 The REVO is an extremely compact fixture of 17.5 x 10 x 10 cm and its power consumption is only 20 watts! The high effective light output led to the astonishing conclusion that just 60 fixtures proved to be sufficient to illuminate the upper side of the vast complex. In addition to the colour changing REVO fixtures, 40 CLS REVO Compact 3000K units were installed as downlight fixtures. 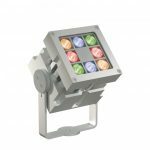 The exterior lighting has a calendar-based system for switching the illumination on and off, providing a perfect experience in all seasons. 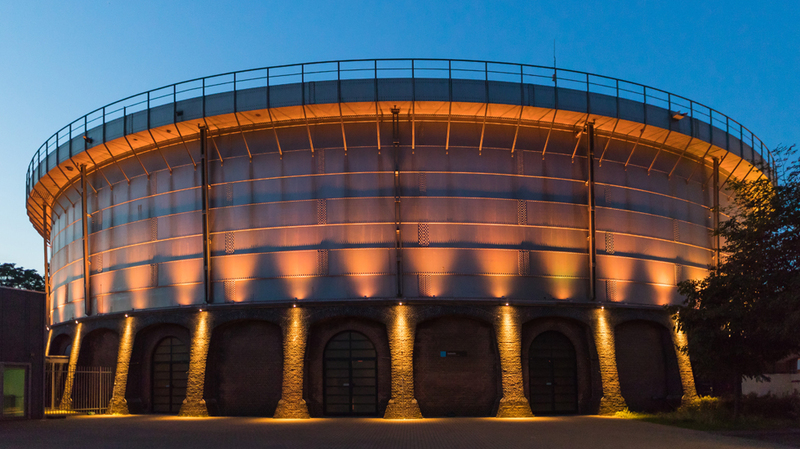 The striking industrial dome without pillars on the inside of the building is illuminated with CLF Ares fixtures. The former fluorescent tubes have been replaced by CLS Lina Clip HP fixtures. 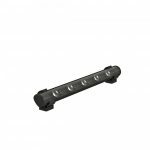 The Lina Clip functions both as effect light and as work light. The installation of LED lighting is part of the Westergasfabriek’s large innovation project, which aims to make the buildings and outside areas more environmentally sustainable where possible.